What’s so great about space? If you are a student in Grades 5 to 12, attending school in the Central Okanagan, you can write about space, produce a video or artwork – and possibly win a chance to meet Canadian astronaut Col. Chris Hadfield, former commander of the International Space Station. A back-stage pass to meet Hadfield. “This contest is a wonderful way to spark the imaginations of school children about the final frontier and Canada’s role in the future of space exploration,” says Hugh Gloster, superintendent of the Central Okanagan School District. 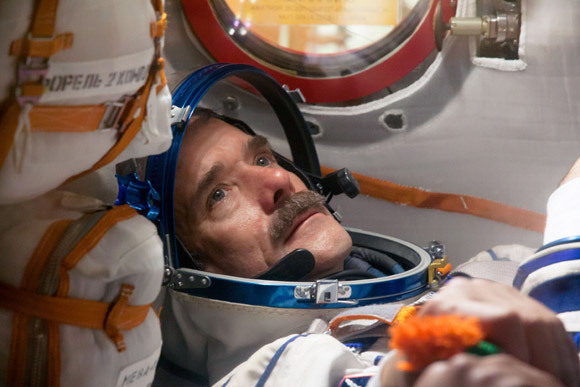 “Our school district is delighted to participate in this contest with UBC to provide this learning opportunity for our students, and to connect them to science and space flight though Canada’s most famous astronaut, Colonel Chris Hadfield,” says Gloster. The contest is open to Grades 5 to 12 students in all schools in the Central Okanagan area. Students should be prepared to travel to the Kelowna Community Theatre in downtown Kelowna with a parent/ guardian should they win. Students should be comfortable with having their submission shared via promotional tools – social media, web, radio and print – along with their grade, gender and school – though no names will be disclosed without permission of the entrant. Deadline for submissions is 8 a.m. PDT, Monday, September 30. Ten winners will be drawn from submissions on Tuesday October 1. Winners will be contacted by email. Entries, including student’s name, grade, gender and school, must be emailed to: directorofinstruction.central@sd23.bc.ca. The Distinguished Speaker Series is sponsored by the Irving K. Barber School of Arts and Sciences.